Since 1985 Siegfried Othmer has been engaged in the development of research-grade instrumentation for EEG feedback, and since 1987 has been involved in the research of clinical applications utilizing that instrumentation. Currently he is Chief Scientist at the EEG Institute in Woodland Hills, CA. 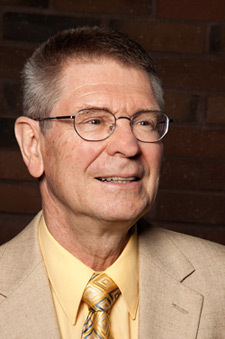 From 1987 to 2000 he was President of EEG Spectrum, and until 2002 served as Chief Scientist of EEG Spectrum International. Dr. Othmer provides training for professionals in EEG biofeedback, and presents research findings in professional forums. Dr. Othmer was President of the Neurofeedback Division of the Association for Applied Psychophysiology and Biofeedback over the two-year period of 2011-2013. Presently he is a member of the Board of the Western Association of Biofeedback and Neuroscience (formerly the Biofeedback Society of California). Received Ph.D. in experimental physics, with minors in theoretical physics and mathematics; received Danforth Fellowship and teaching assistantship. Chief Scientist, EEG Spectrum International, Inc.
President and Chief Scientist, EEG Spectrum, Inc.
Mark P. Jensen Ph.D., Caroline Grierson, R.N., Veronika Tracy-Smith, Ph.D., Stacy C. Bacigalupi, M.A., Siegfried Othmer, Ph.D.
Chapter 8 in Rhythmic Stimulation Procedures in Neuromodulation, James R. Evans and Robert A. Turner, Eds. Chapter 2 in Restoring the Brain: Neurofeedback as an Integrative Approach to Health, Hanno Kirk, editor, Taylor and Francis, Boca Raton, Florida, pp. 23-50 (2015). Chapter 11 in Restoring the Brain: Neurofeedback as an Integrative Approach to Health, Hanno Kirk, editor, Taylor and Francis, Boca Raton, Florida, pp. 231-260 (2015). Conclusion in Restoring the Brain: Neurofeedback as an Integrative Approach to Health, Hanno Kirk, editor, Taylor and Francis, Boca Raton, Florida, pp. 261-280 (2015). Journal of the Western Association for Biofeedback and Neuroscience, Fall 2015. Journal of the Western Association for Biofeedback and Neuroscience, Spring 2015. Journal of the Biofeedback Society, Summer 2014. Journal of the Biofeedback Society of California, Fall 2006. Siegfried Othmer, Ph.D., Judy Phillips, Ph.D., and Ain Roost, Ph.D. The San Diego Psychologist, April, 2001. To appear in Applied Neurophysiology and Brain Biofeedback, Rob Kall, Joe Kamiya, and Gary Schwartz, editors (1997). Journal of the BSC, October 1995. Journal of the Biofeedback Society of California, September 1992. "Theoretical Basis for Infra-Low Frequency Training and Implications for Brain Functional Organization"
"Mechanisms of Infra-Low Frequency Neurofeedback Training"
"The Growing Role of Infra-Low Frequency Neurofeedback in Integrative Medicine"
"The Exploitation of Brain Plasticity Using Frequency-Based Methods"
"EEG Neurofeedback for the Remediation of Symptoms of Autism"
"The Common Core of Biofeedback and Neurofeedback"
"EEG Feedback at Infra-Low Frequencies: A Conceptual Re-unification of Biofeedback and Neurofeedback"
"The Role of Infra-Slow Oscillations in ILF Training"
"Neurofeedback in Application to Mental Health Conditions over the Life Span"
"Neurofeedback in Application to Optimum Functioning in the Cognitive and Affective Domains, as well as in Health Maintenance"
"EEG Feedback at Infra-low Frequencies: A Conceptual Reunification of Biofeedback and Neurofeedback"
"Neuromodulation: The Frontier of Mental Health"
"A Non-Clinical Model: Neurofeedback over the Life Span"
"Neurofeedback for Tourette Syndrome, Tics, OCD, and Depression"
"Neurofeedback for the Autism Spectrum"
"Neurofeedback in Application to Depression"
"Inter-Hemispheric and Lateralized Frequency-Optimized Bipolar Training"
"A Proposed Neurofeedback Curriculum for Optimum Performance Applications"
"Progress in neurofeedback for the autism spectrum"
Paper presented at the 38th Annual Meeting of the Association for Applied Psychophysiology & Biofeedback. Monterey, CA, 15-18 February 2007. "Empathy, Altruism, Networks, and Neurofeedback"
"On the Nature of the Evidence: An Epistemology"
"The Ghost in the Box: A Twenty-Year Retrospective"
"A Final Common Pathway for Biofeedback and Neurofeedback"
"Brain Organization in the Domain of Timing and Frequency"
"Generality and Specificity in Neurofeedback"
"Paradoxes - And Their Resolution"
"Neurofeedback Training for Autism Spectrum Disorders"
"Theoretical Models Underlying Neurofeedback Efficacy"
"Neurofeedback as a Complementary Therapy in Addictions Treatment"
"Seeking a Unitary Perspective on Neurofeedback and Biofeedback"
"Static and Dynamic Protocols: The Continuing Search for Balance"
"Quantitative EEG and Neurofeedback for ADD"
"Neurofeedback for Autistic Spectrum Disorders"
"Neurofeedback for Bipolar Disorder in Children"
"Neurofeedback for Traumatic Brain Injury"
"Reaching the Unreachable Child: An EEG Response to ADHD"
"Resilience: What You Should Know"
"Neuroregulation in the Bioelectrical Domain"
"Effect of Neurofeedback on Variables of Attention in a Large Multi-center Trial"
"Brain and Behavior: The Role of Neurotherapy"
"Neurofeedback for Severe Emotional Disturbance, Irrational Violence, and Sociopathy"
"Implementation of Virtual Reality in EEG Biofeedback"
"Neurotherapy in the Treatment of Addictions"
"EEG Biofeedback for Tourette's Syndrome"
"EEG Biofeedback: Ansatz to the Grand Unified Theory"
"The Utilization of Continuous Performance and other Neuropsychological Tests for Protocol Selection in ADHD and Related Disorders"
"EEG Biofeedback Training for ADHD: Results of TOVA Testing"
"EEG Biofeedback for Bipolar Disorder"
"EEG Biofeedback: SMR and Beta Protocols"
"EEG Biofeedback: The Larger Picture"
"Model Curriculum for EEG biofeedback"
"EEG Biofeedback for Chronic Pain," and "EEG Biofeedback for PMS"
"Training the Brain: A new Frontier,"
"EEG Biofeedback Training for Chronic Pain"
"EEG Biofeedback for ADHD and Other Disorders"
"EEG Biofeedback for ADHD; results of TOVA testing"
"EEG Biofeedback for ADHD, Related Conduct Disorders, and Specific Learning Disabilities"
"EEG Biofeedback for ADHD and Disruptive Behavior Disorders"
"EEG Biofeedback for ADHD and Specific Learning Disabilities"